Curiosity completed its first set of driving maneuvers on Mars. 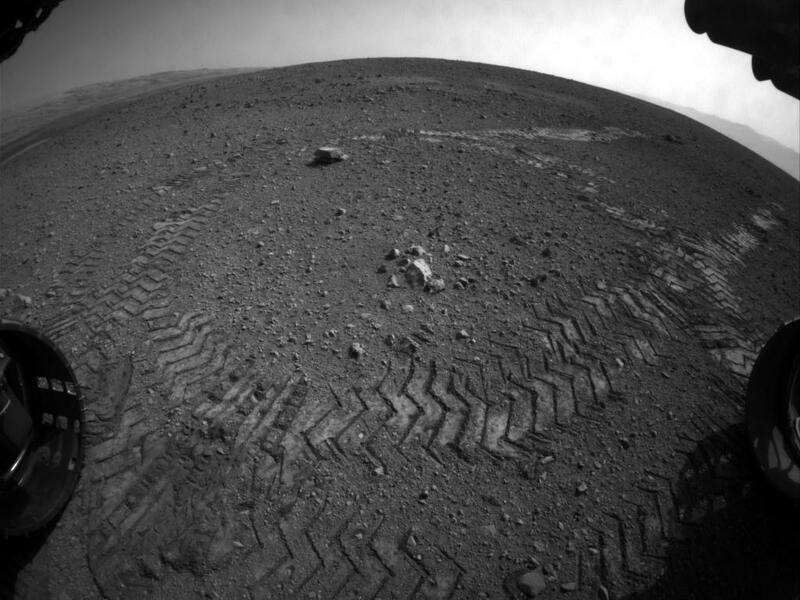 This image was the first that showed the wheel tracks, confirming that the rover drove successfully. This was only a test of Curiosity’s driving systems, the first of several. Tests of every science instrument and every other system on the rover will continue for at least a month or so before they’ve established a solid baseline for how everything behaves now that it’s actually on Mars. Only then can the scientists begin run the real experiments the rover was designed to carry out. Science is sometimes very tedious and slow, but the results and knowledge gained is very much worth it.